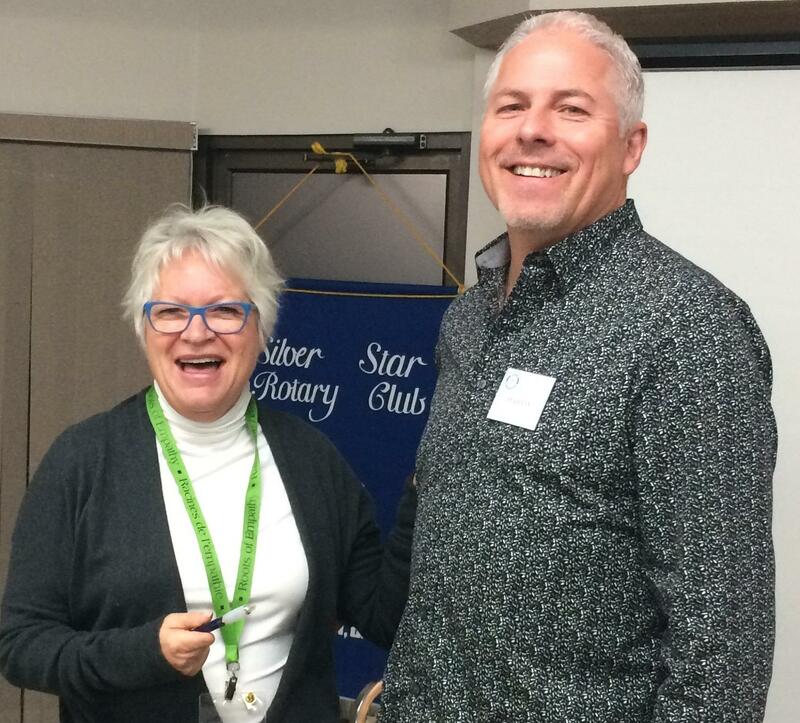 Martin von Holst thanked retired teacher/counsellor Pam Fournier for her talk about “Roots of Empathy,” a non-profit whose mission is to build caring, peaceful, & civil societies through the development of empathy in children & adults. Founded in 1996, & now in 12 countries, this program has been offered in Vernon schools since 2006. Elementary school children are taught to observe, recognize & reflect on their feelings, & feelings of others, by having a baby (& mother) in their classroom. Babies readily show their emotions, & few people are inclined to be mean to a baby, so this is a simple & effective way of teaching “emotional literacy.” The idea is to show vulnerability, followed by ways to see & reduce aggression & bullying. Pam is hoping funds will soon be made available to train more instructors in this program, so it may be offered to more children. She believes this is an effective way to combat high & increasing levels of anxiety. Dave Weatherill suggested many adults, including corporate & political leaders, could benefit from this training. Pam replied that scarce resources are thought best to be applied to our future leaders.